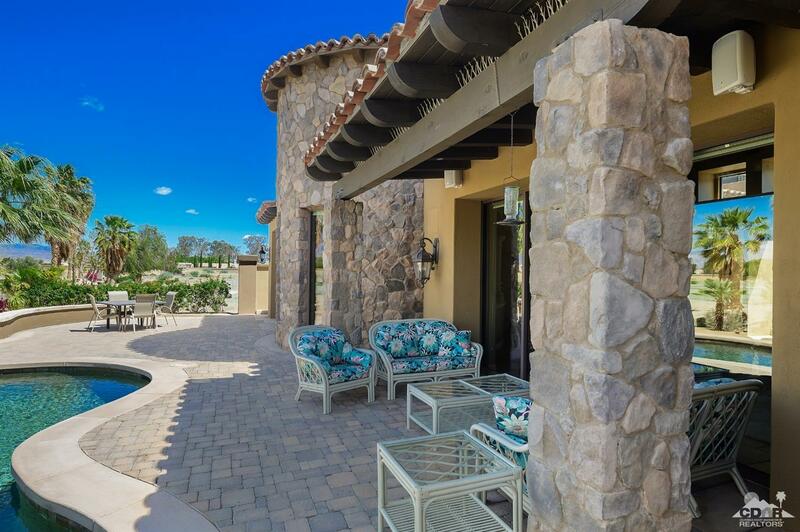 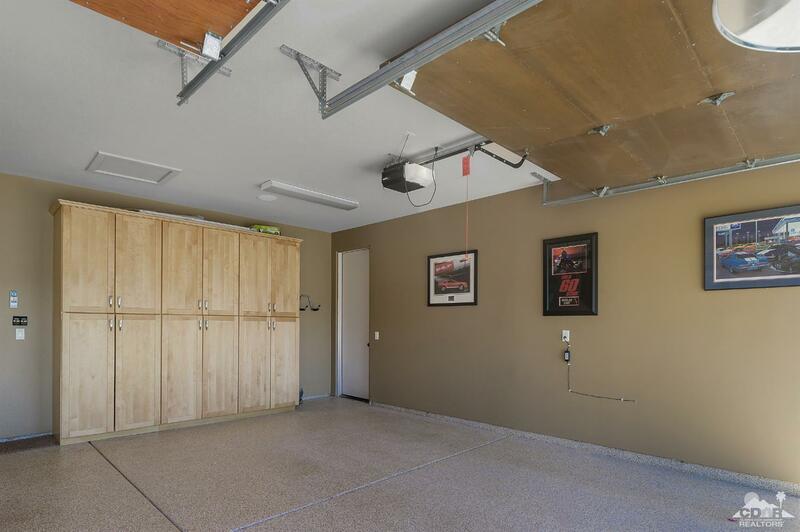 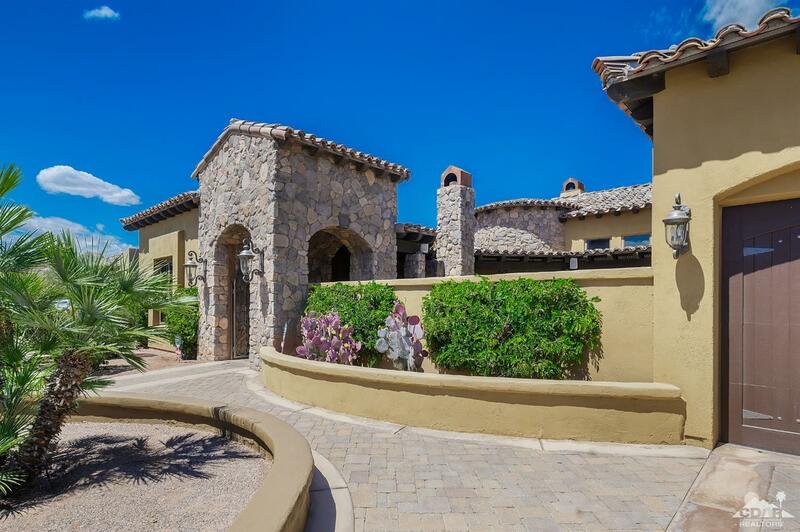 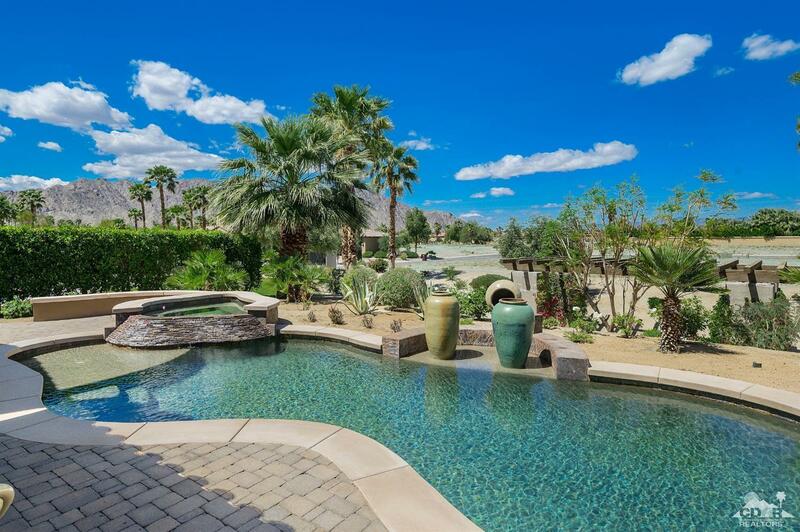 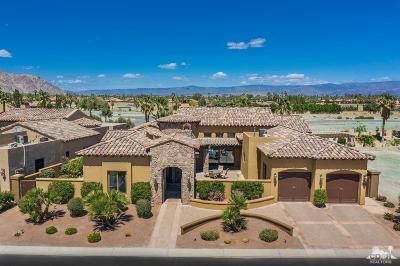 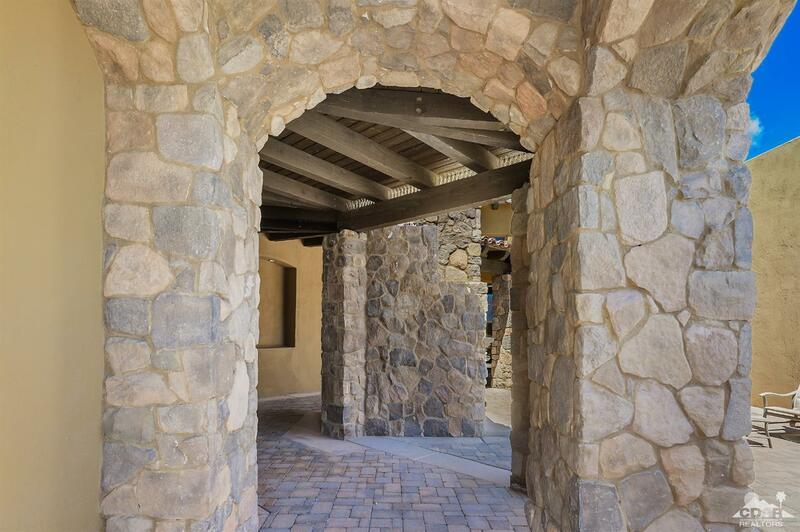 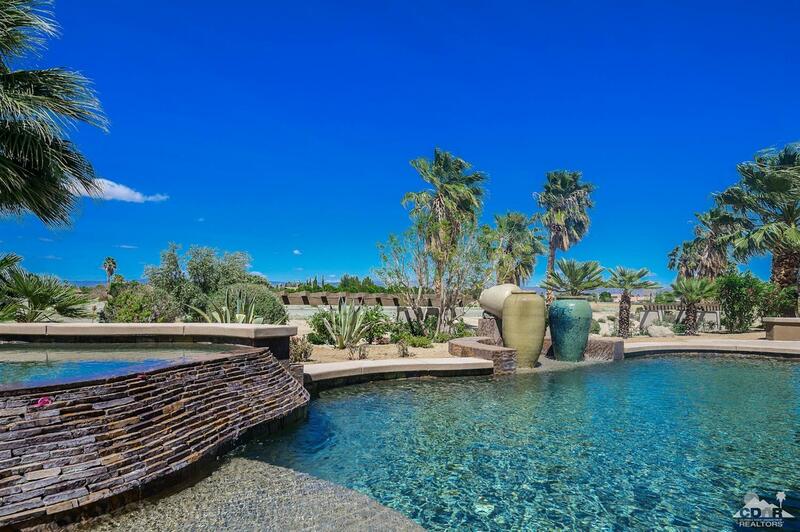 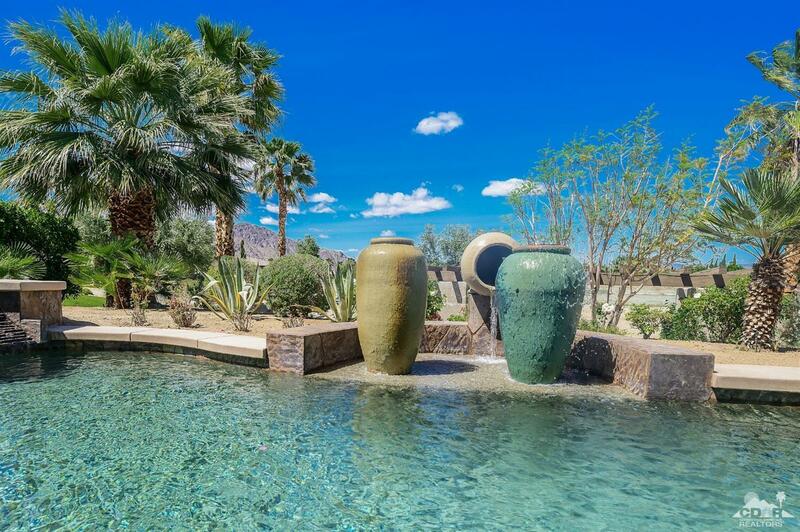 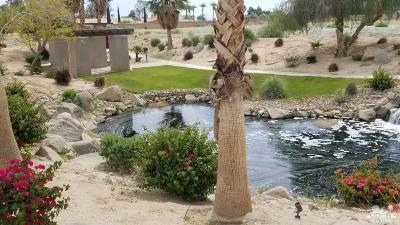 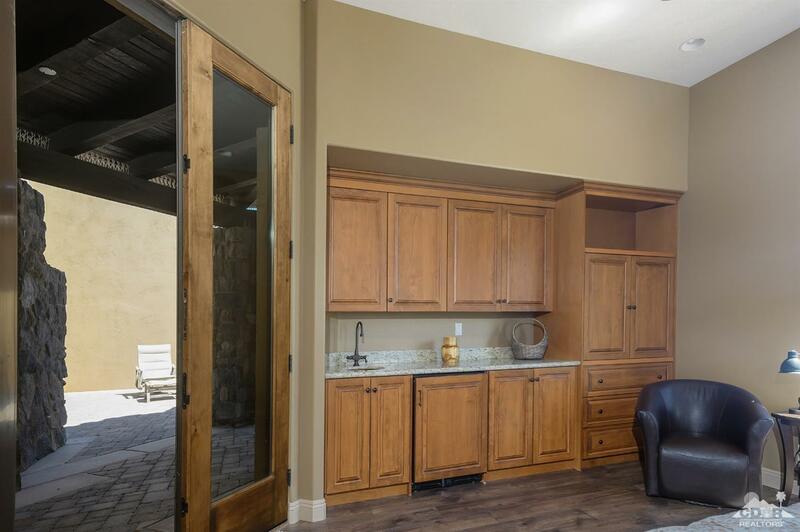 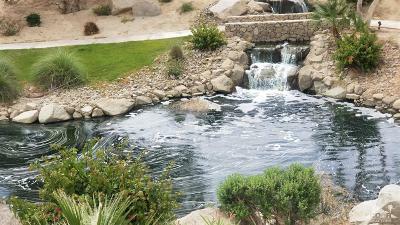 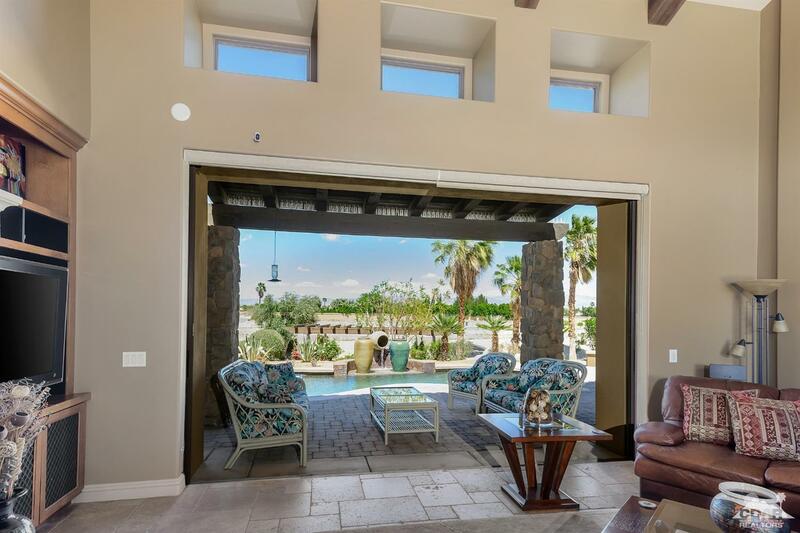 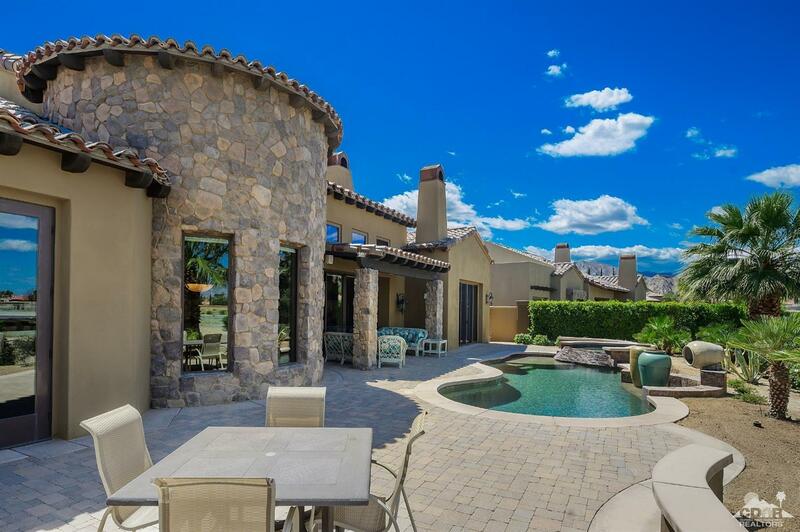 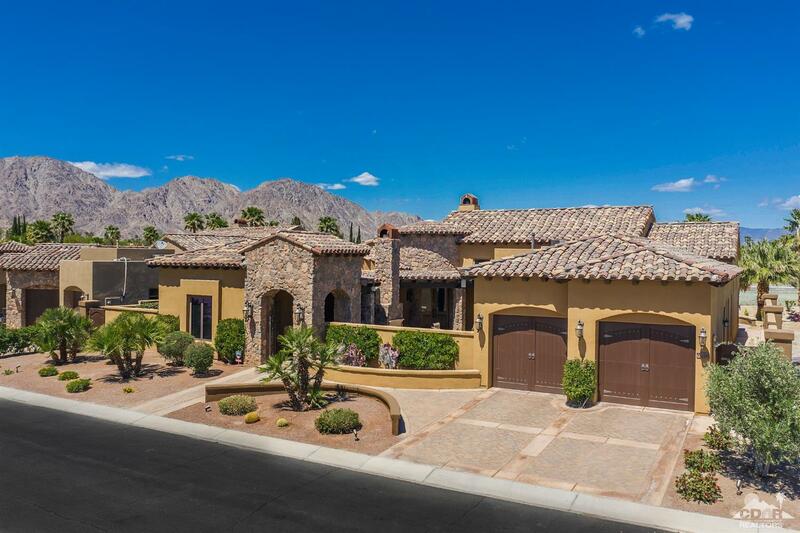 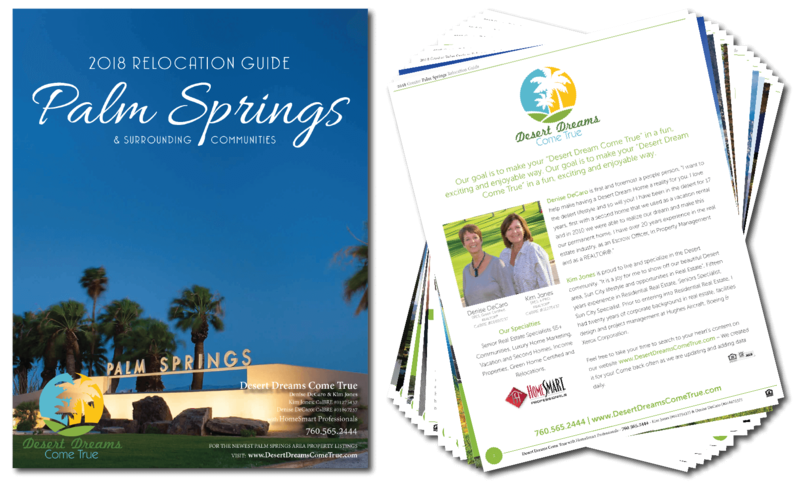 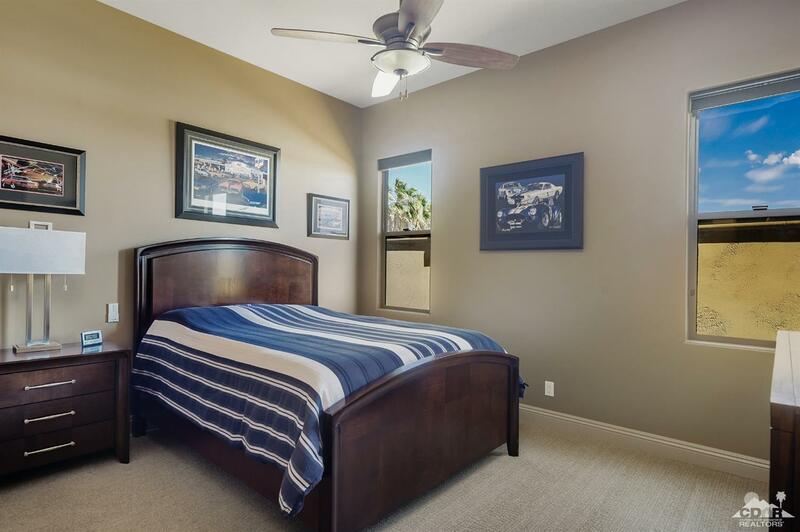 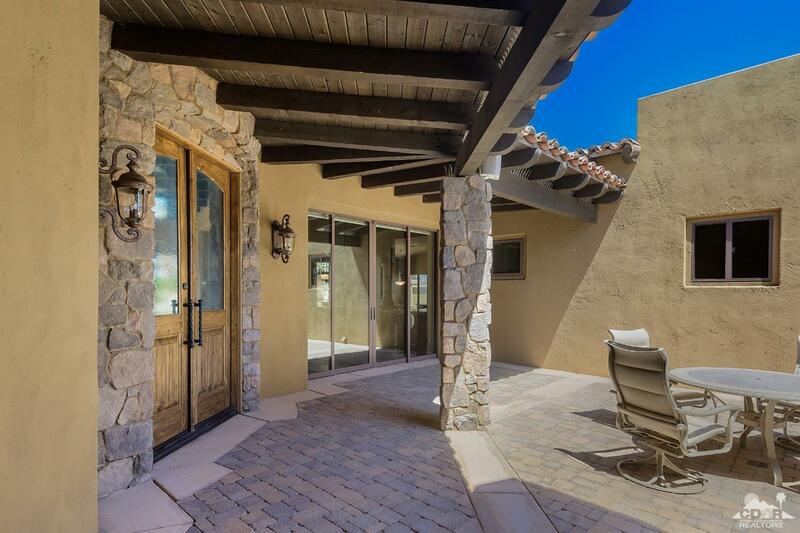 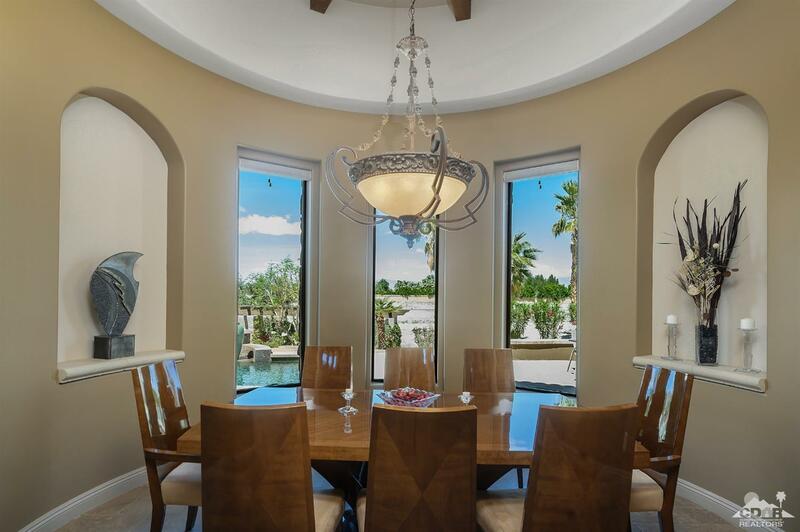 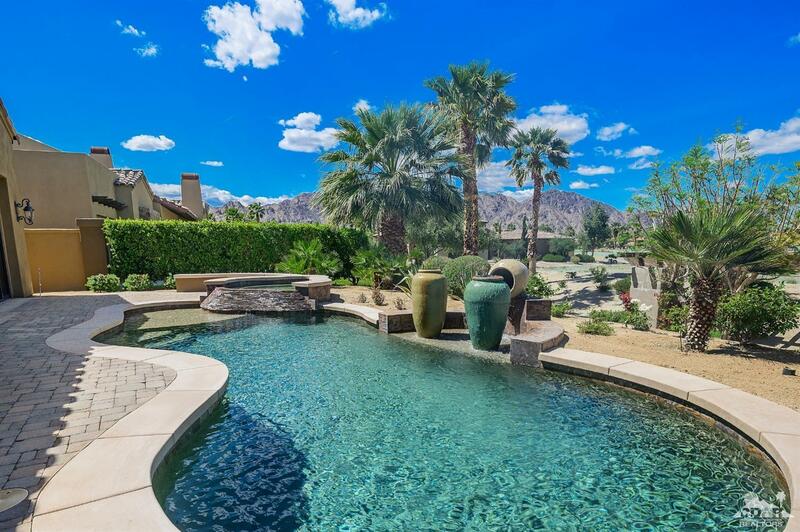 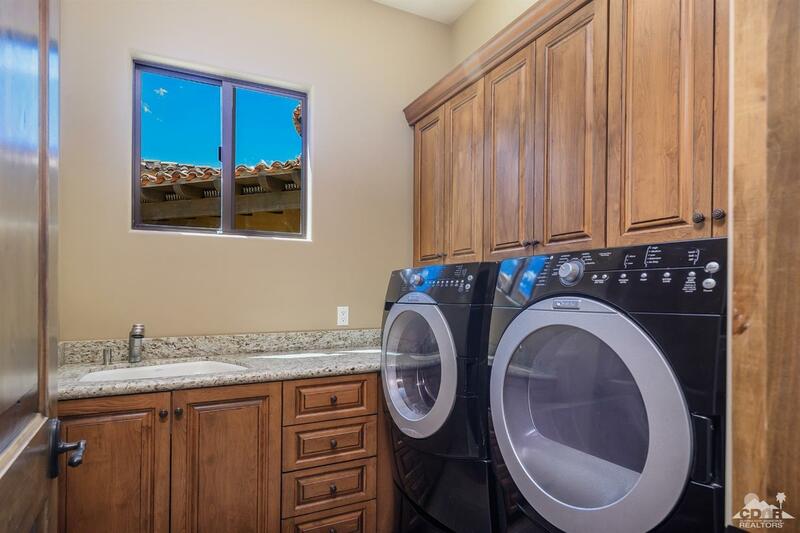 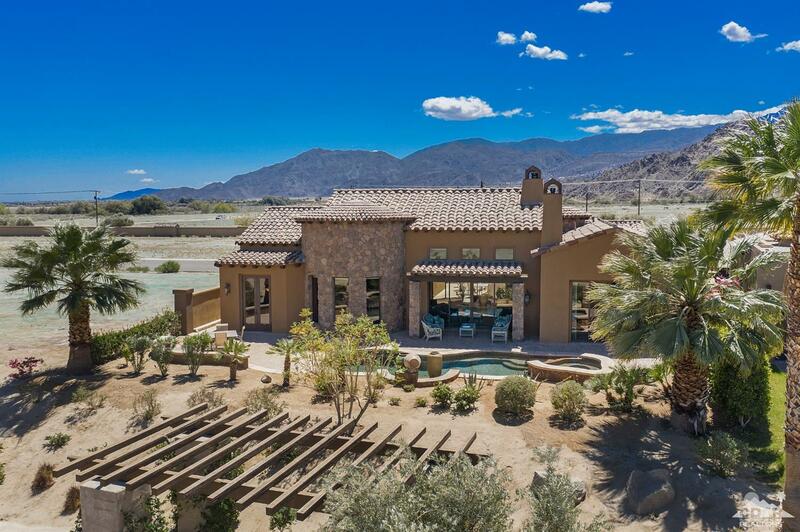 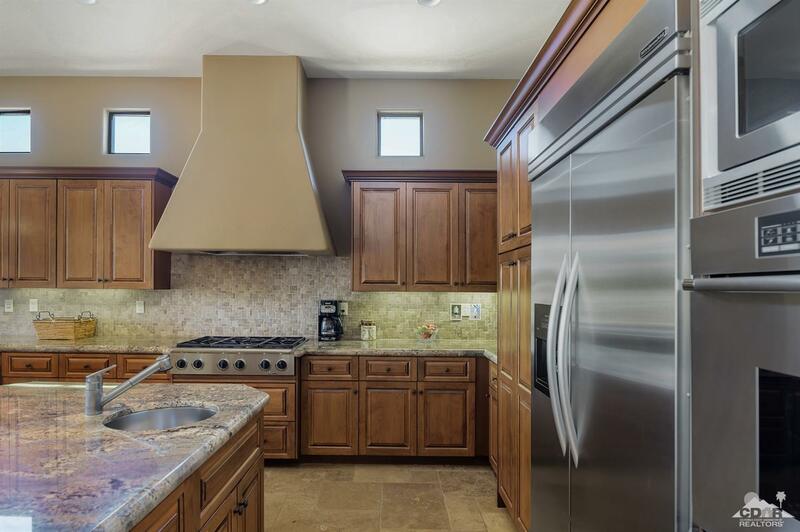 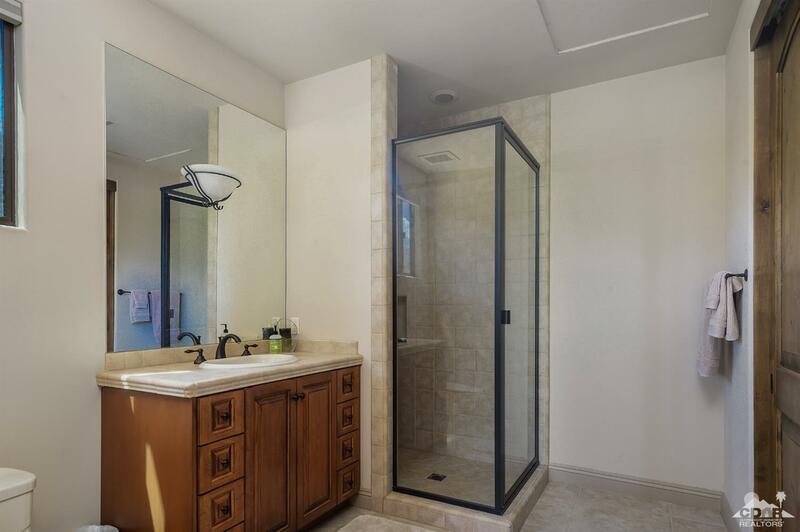 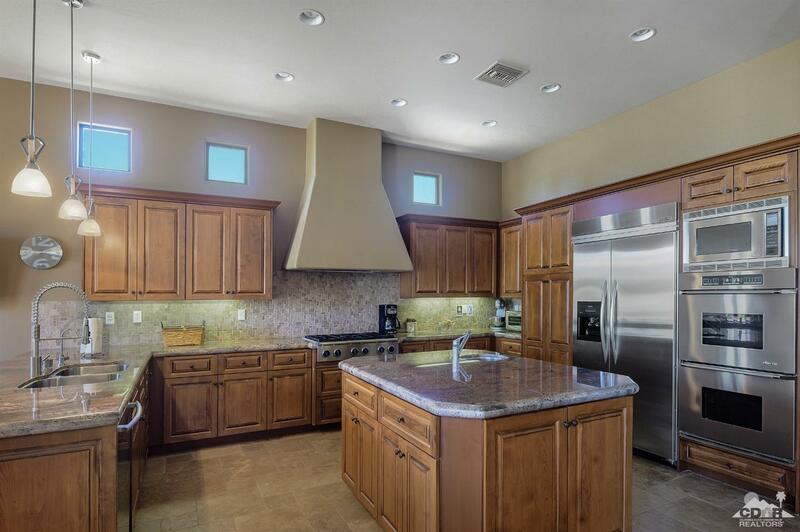 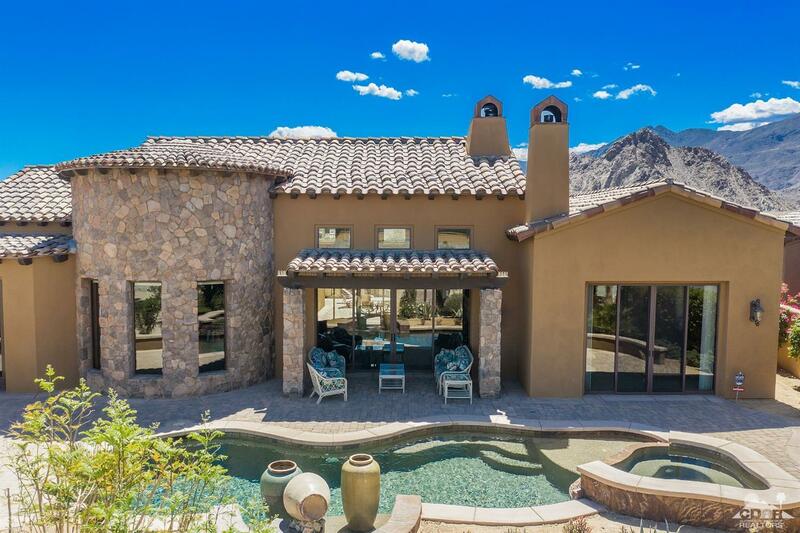 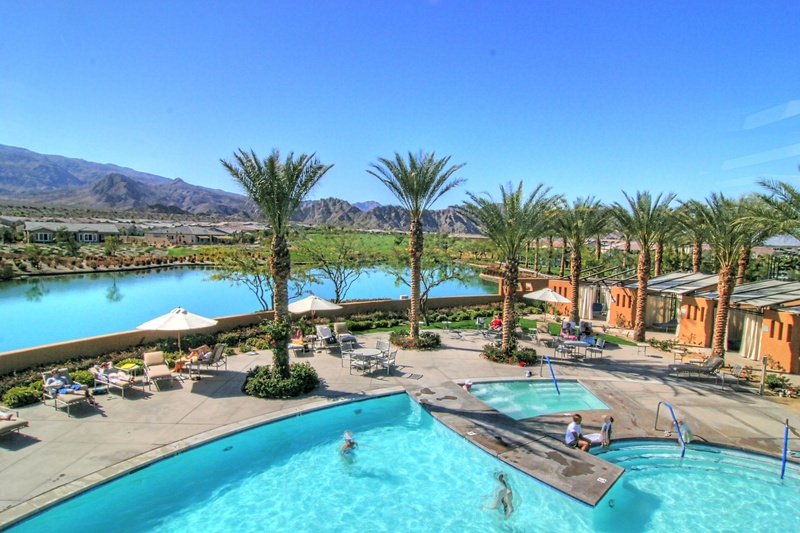 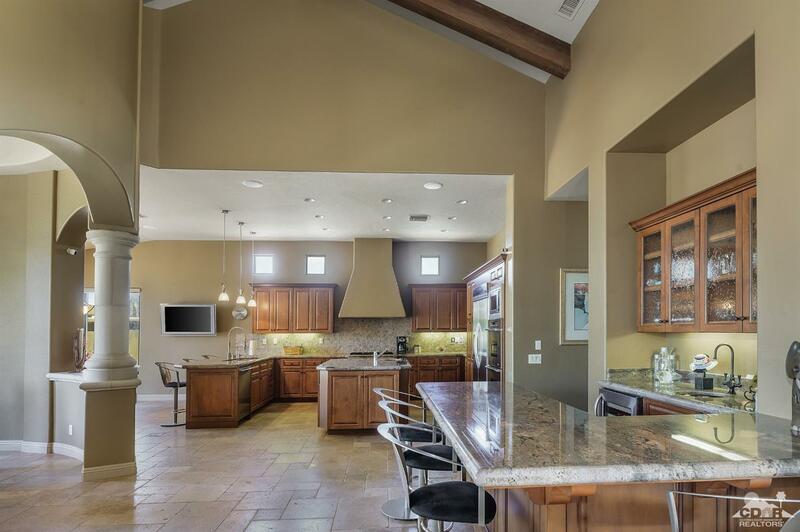 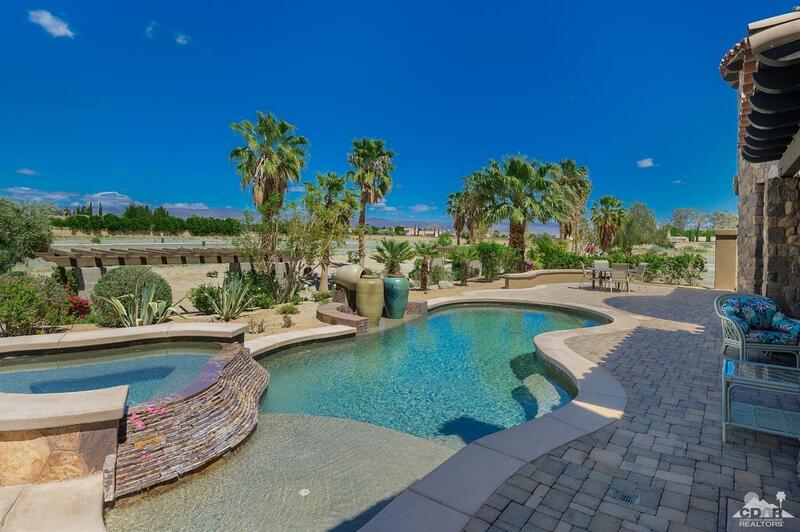 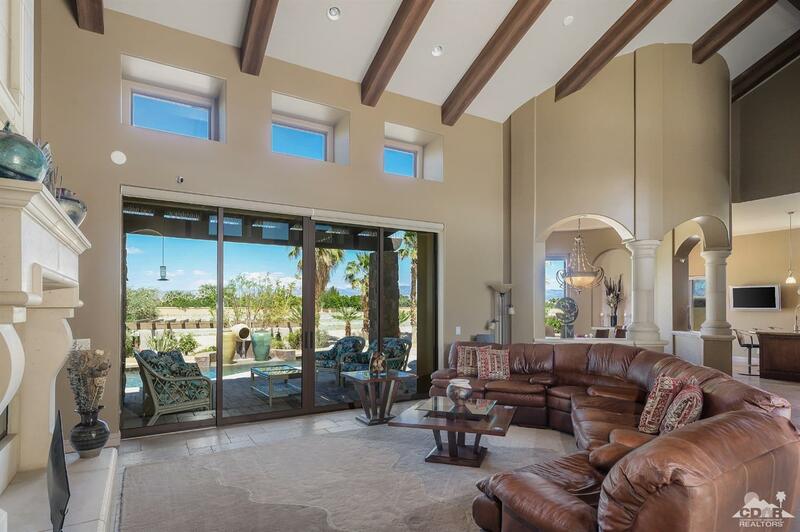 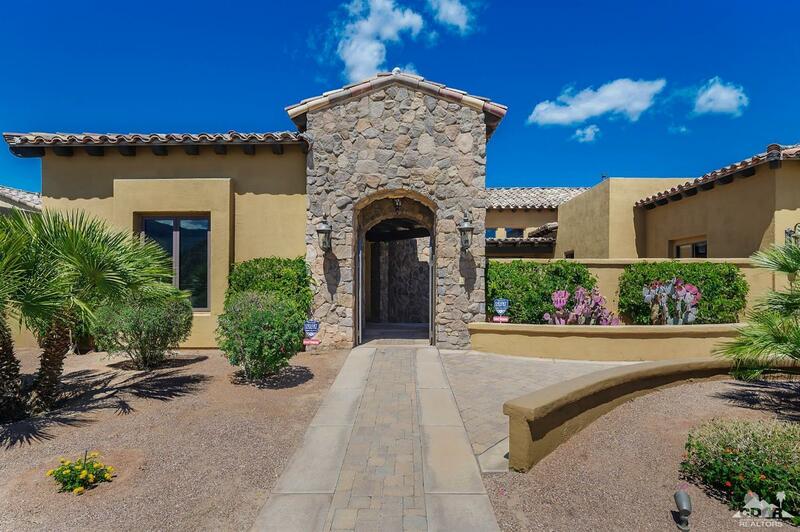 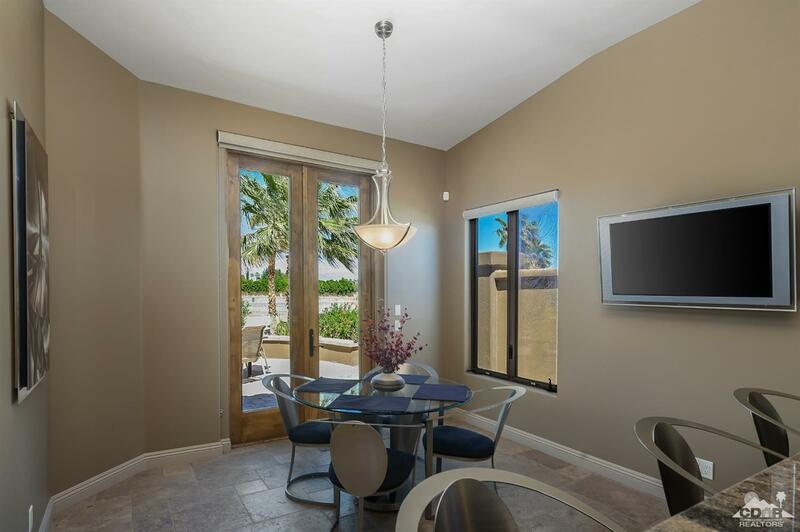 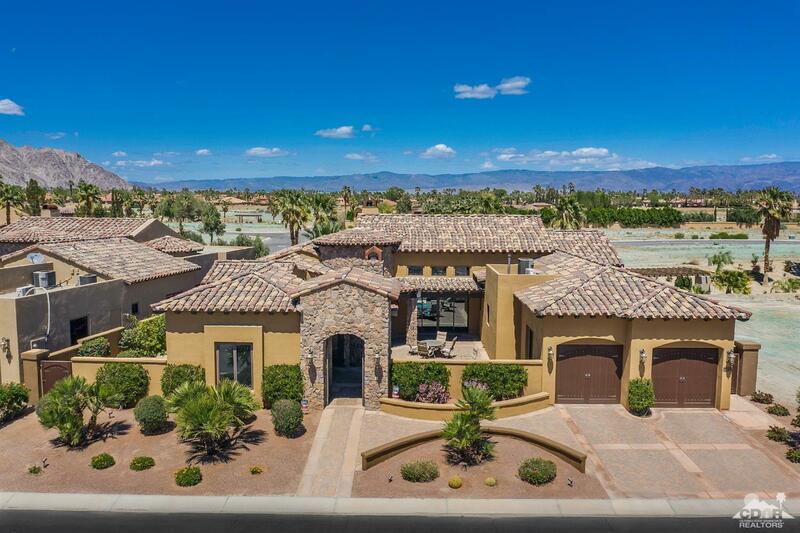 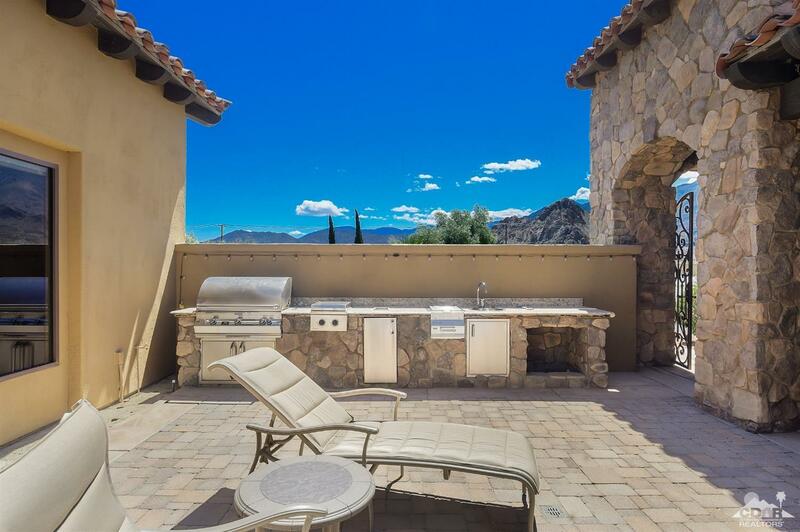 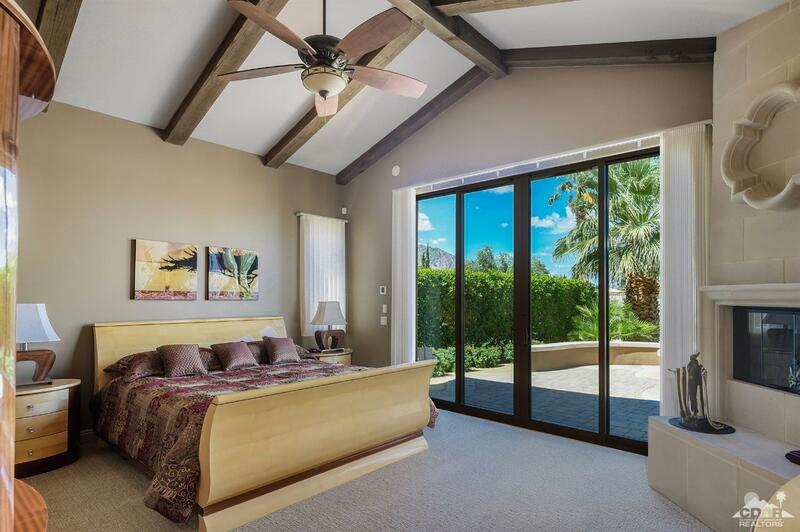 Relish the privacy, the stunning mountain views, and the quietude of Stone Creek Ranch, only 9 minutes from shopping and restaurants in Old Town La Quinta, and an easy bike ride to the Coachella venues. 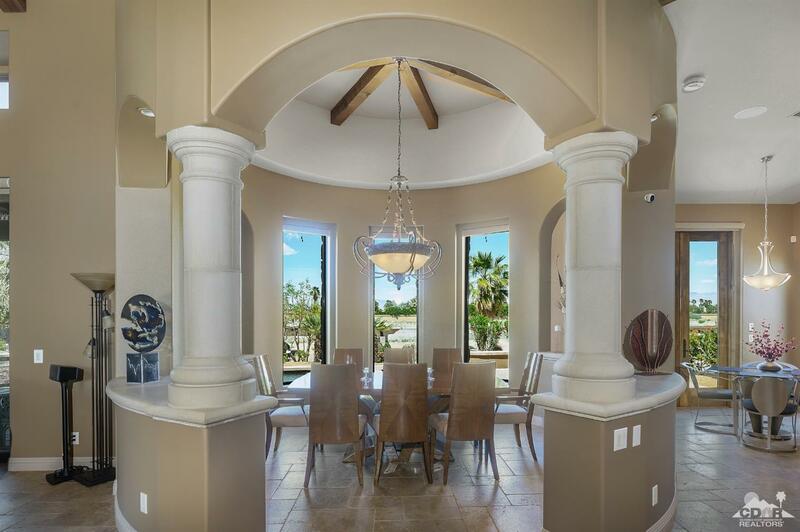 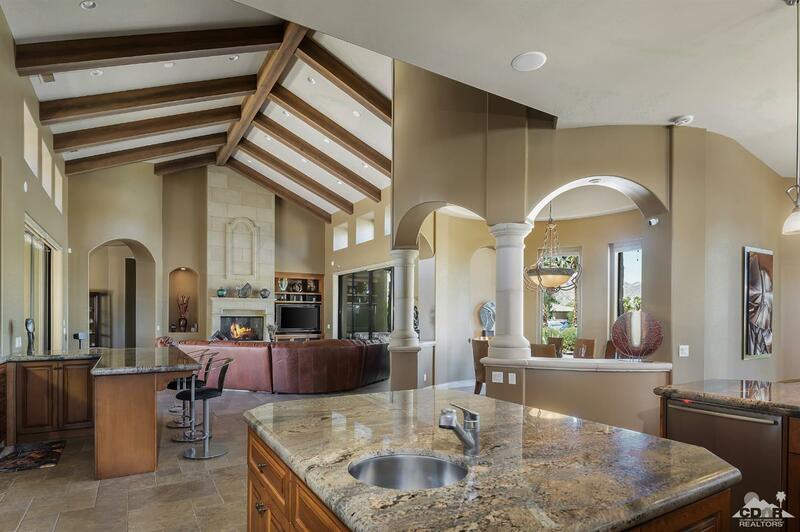 Within the gates of Stone Creek, find a Tuscan-styled custom home w/open-floor concept and expansive great room showcasing the 19 ft. vaulted fireplace; 2 sets motorized Fleetwood disappearing doors; a wet bar with seating, the stately formal dining room, and a chef's kitchen with center island, peninsula seating and informal dining. 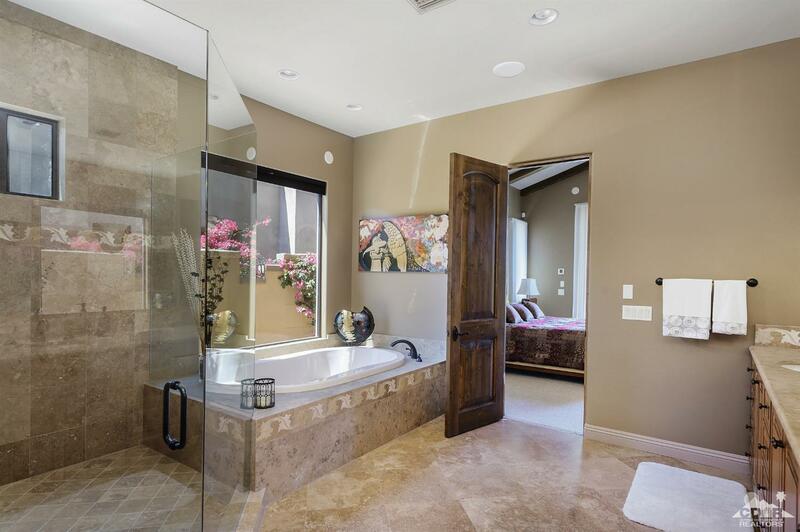 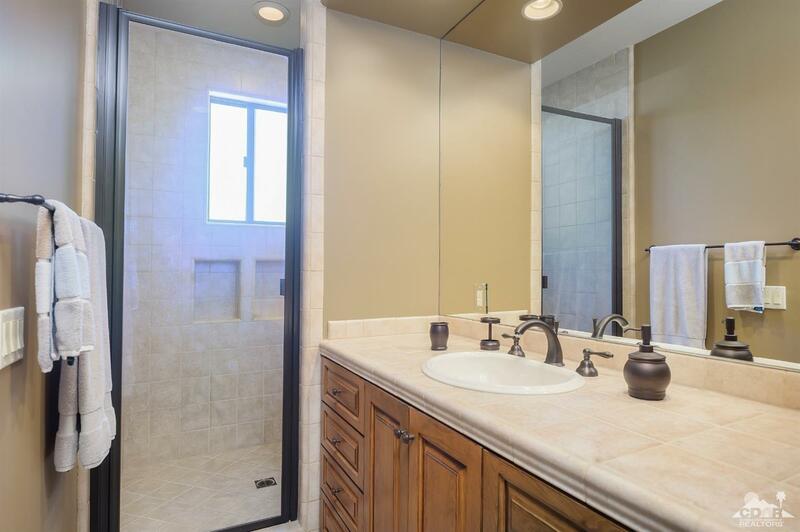 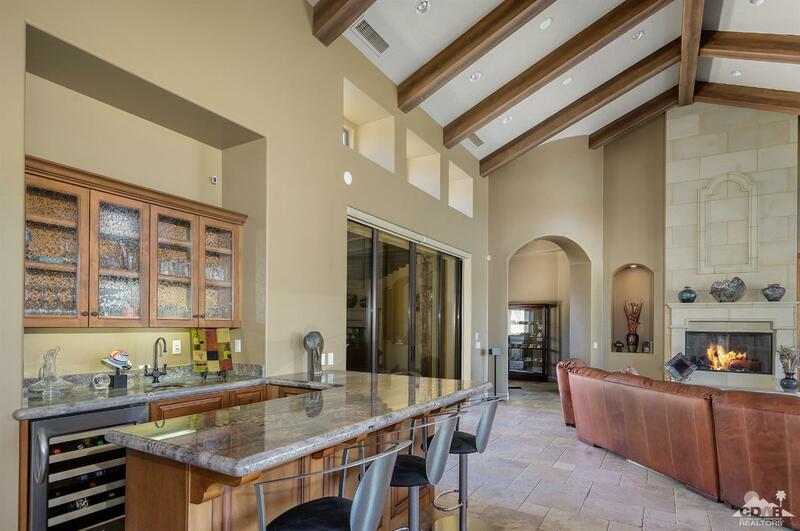 French-laid travertine floors grace the main living area and master bath. 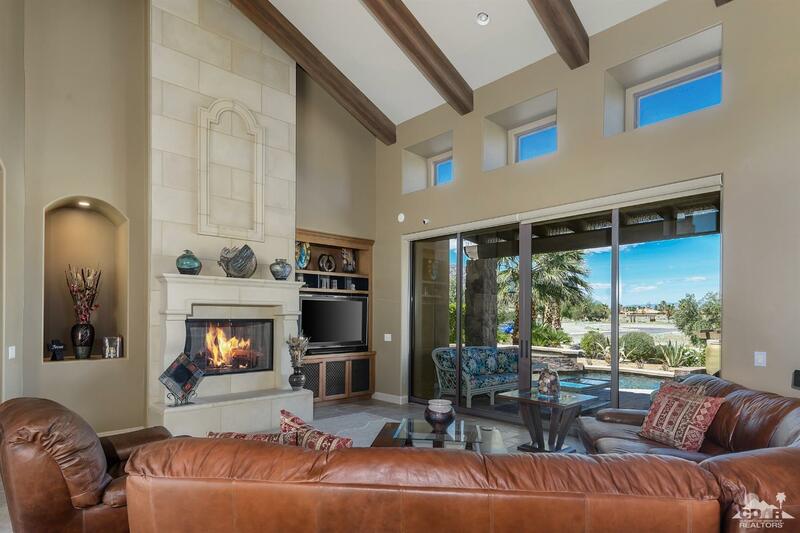 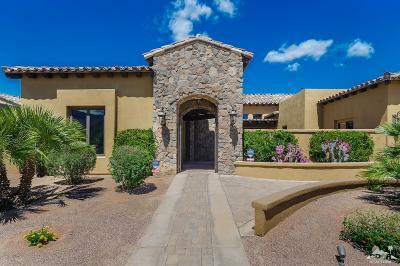 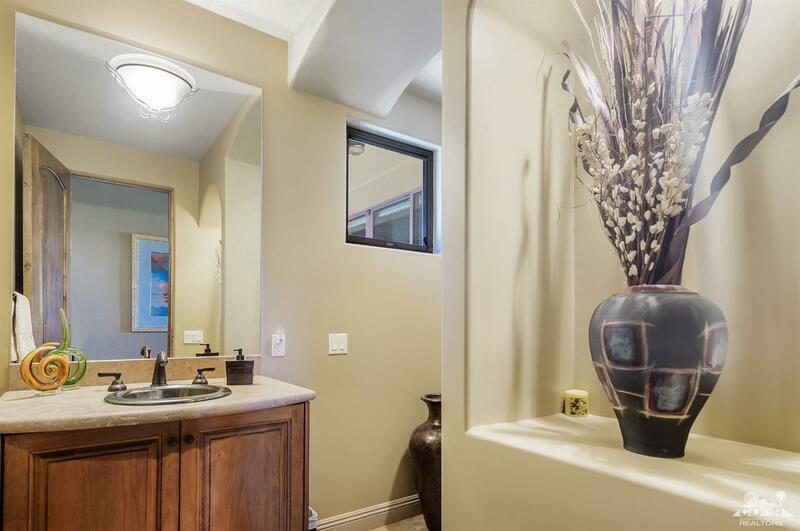 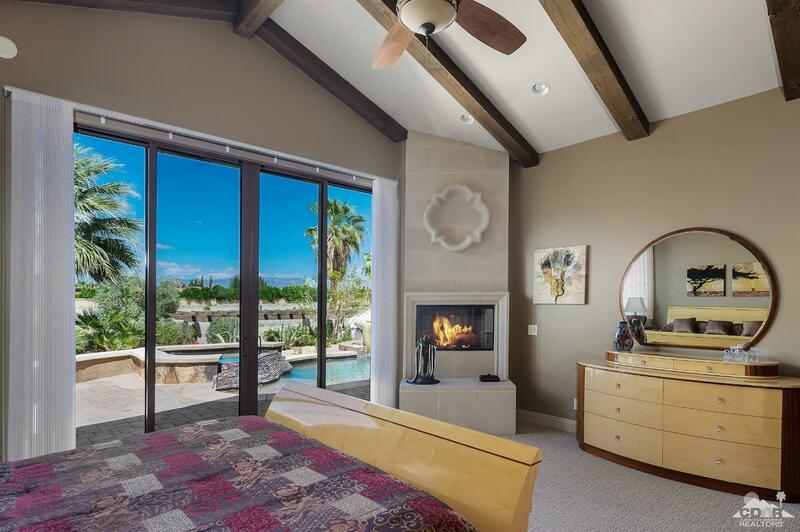 The Master Suite shines w/vaulted beam ceilings and fireplace, sliding door access to outdoor spa; gigantic customized walk-in closet and exquisitely appointed master bath. 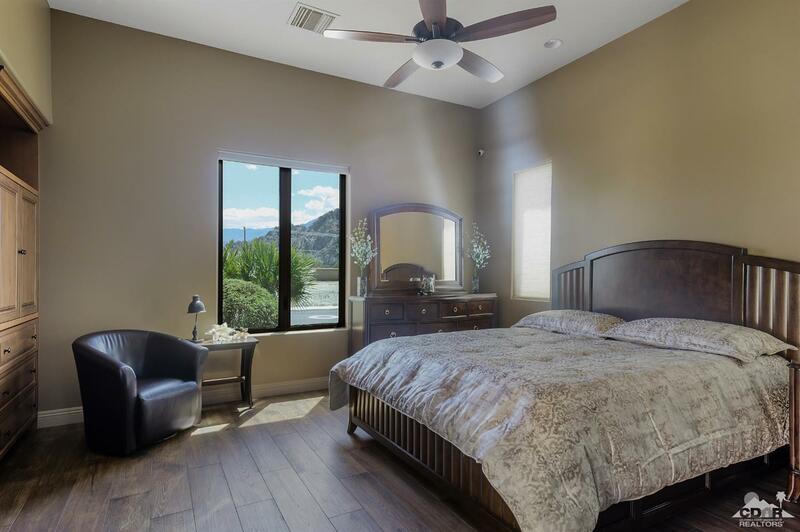 The 3rd bedroom is attached casita with king bed, coffee bar and personal entry with French doors adjacent to the sunny encl. 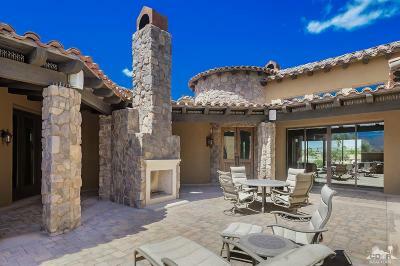 courtyard featuring fireplace and outdoor kitchen. Much more, see attachment; visit us!